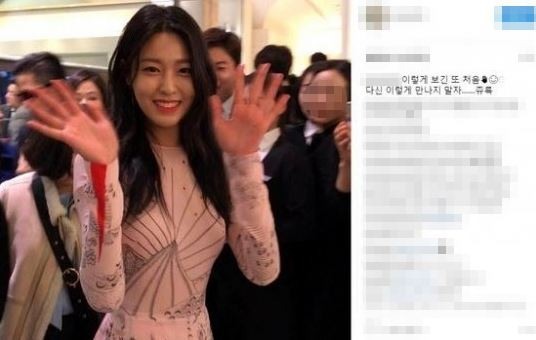 Seolhyun’s older sister Kim Joo-hyun, who is known for her beauty and position as an editor at the fashion magazine Cosmopolitan, expressed surprise at unexpectedly running in to Seolhyun at a public event and seeing her showered with camera flashes. The sisters were juxtaposed in an awkward way with Kim, the older sibling, as a member of the media, and Seolhyun, as the sought-after celebrity. Kim and Seolhyun posed in a Cosmopolitan fashion shoot together in September 2015.